Rich chocolate flavour with a boost of antioxidants - cacao is one sweet superfood! Enter the Crazy For Cacao Contest and you could win a dark and delicious prize pack for baking up a jar full of chocolate treats! 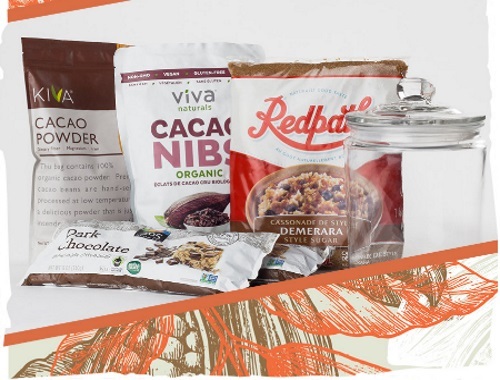 Enter to win a bag of chocolate baking chunks, a bag of cacao powder, a bag of cacao nibs, a gallon glass canister, and an Acts of Sweetness prize pack including a bag of Redpath Demerara Style sugar. Contest closes February 16, 2018.